This Quonochontaug-type station was the third station at Oregon Inlet. Construction was completed in February 1898 at a cost of $6,860.70. The first station, one of the original outer banks stations, was built in 1874. In 1888, due to the shifting channel, it was replaced by a station 400 feet to the west, which was then destroyed by a storm in 1897. The 1898 station was extensively modified in 1933-34, and further extended in 1979. It was abandoned in 1988, and ultimately replaced by a new station in July 1990 on Pamlico Sound. After the Coast Guard vacated the 10-acre site in 1988, it was turned over to Dare County. A prolonged battle was then launched by heirs of the man who gave the land to the USLSS in 1897. In 2000, the county gave the property to the state, which assigned it to the North Carolina Aquariums to administer. The station has received major preservation work in recent years, at an estimated cost of $700,000. 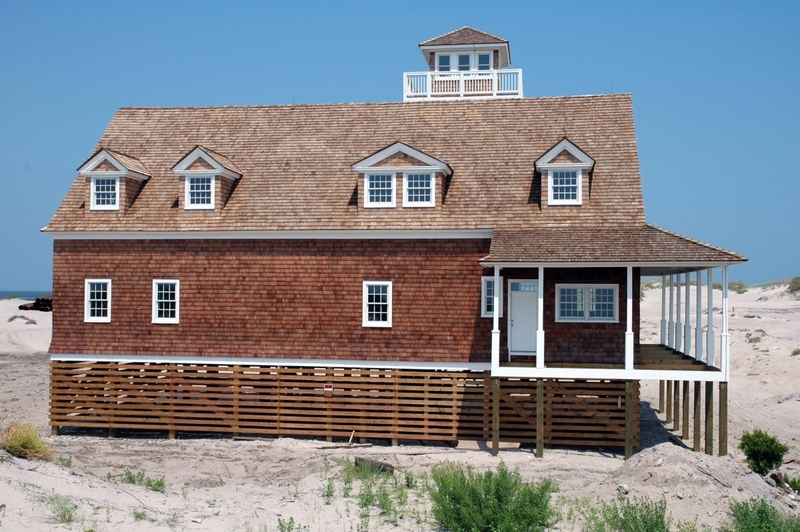 The building was raised 10 feet and placed on pilings, allowing the sand to blow freely underneath. The concrete floor was replaced by wood. The roof was replaced and the three-story tower renovated. A new lightning protection system was added as well. The dormitory, which had been added in the 1970s, was demolished. This project was completed in 2008. Uncertainty about the replacement for the nearby Bonner Bridge stalled the restoration project. Bridge construction began in March 2016 and is due for completion in September 2019. The station may then become more interesting to other state agencies, or even federal or county entities, and the state wants to lease or give the facility to another agency at some point. All offers to take over stewardship or ownership will be reviewed. The ultimate fate of the station remains uncertain. The building has been a persistent vandal magnet. Old cisterns at the site have been disassembled and carted off. Intruders broke a hole through the porch and it has been repaired several times. There is nothing inside the building, vandals having stripped the building to the bare studs, including removal of all wiring and plumbing. Despite the leaking and the deterioration over the years, the building is in remarkably good condition. It is sealed tight now, just awaiting a steward to take over ownership. In the meantime, North Carolina Aquariums continues to manage the property for the state. 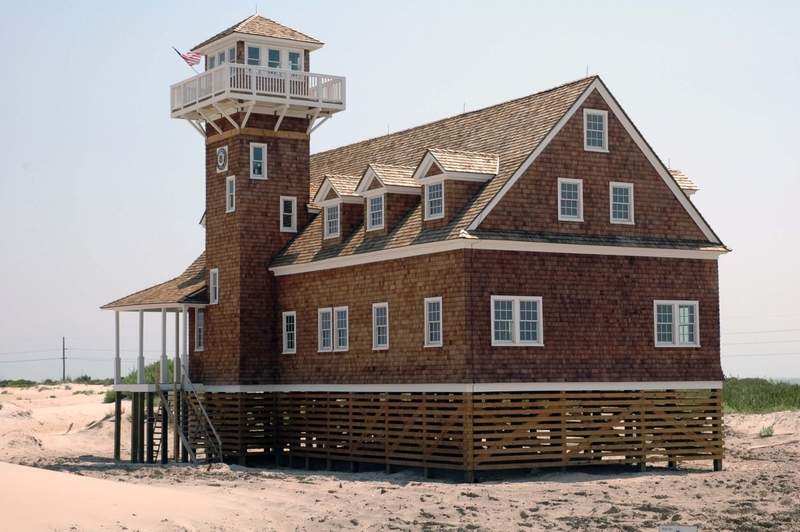 A jetty on the south end of Oregon Inlet that was built to protect the bridge has alleviated severe erosion, but has caused the sand to build up as high as 25 feet near the building. The station is on the National Register of Historic Places and can be seen by drivers traveling over the Herbert C. Bonner Bridge, on the ocean side of the northern tip of Hatteras Island.